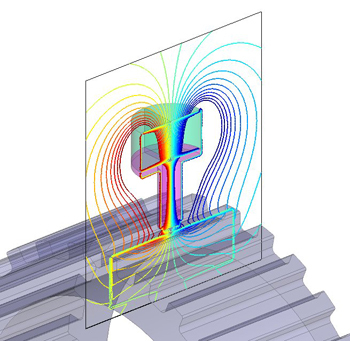 INTEGRATED Engineering Software understands that the process of designing devices involving electromagnetic and particle trajectory analysis is very refined. There are many aspects of the design process that require not just the right tools, but also support by the experts; those who know the details and interact with many customers, solving a variety of problems every day. Technical Support is one of the highest priorities at INTEGRATED Engineering Software. We offer the highest level of customer service and support in the industry. Starting with your very first contact, our professional team is available to fully discuss your design needs. Your INTEGRATED program comes with a one-year full-service maintenance package including software updates and technical and application support via phone, email and documentation. Additional support services such as custom software development, workshops and seminars are also available. Our technical team is staffed with highly trained professionals – with Masters and PhD degrees – who work hand-in-hand with our customers. They utilize the most up-to-date testing and benchmarking methods and are constantly reviewing programs and documentation for fine-tuning. If you encounter any problems that are not easily solved by the technical FAQ’s posted, please contact us, and one of our technical support staff will assist you. They can answer your questions about the software and work through your design to offer recommendations. When buying a car, the key requirement in mind is that the vehicle can get you where you need to go. The rest of the details are optional. When buying a sophisticated piece of software such as ours, the requirement is the same – you want to get your problem solved in the way that you need it to go. You want the most accurate data. On time. In the most efficient way. When you buy a new software package, your engineering team will dedicate many hours to master the tool. You want to get your problem solved, but not every piece of software will do that properly. Not every piece of software will provide you with accurate data. With all the engineering time dedicated to learn how to use the new software, the last thing you want is to have a problem and get to a point where there is nowhere to go, and nowhere to call. The Opportunity cost and engineering time should be always considered when deciding to buy a high-level piece of software. INTEGRATED offers your company the highest level of technical support in the industry at a very personal level, so you can trust that we will get you your analysis results and fully utilize a team that works behind the scenes to make that happen. Live technical support hours are 8 a.m. to 5 p.m. Central Time, Monday through Friday, excluding Canadian holidays. If you need to verify CST time, you can check here. In order to expedite technical support, please be in front of your computer with your INTEGRATED program running before you call. Please include your company name, phone number, program release version and key number (SK/NPU…) with all correspondence. If confidentiality is an issue, contact your INTEGRATED Engineering Software Account Representative to discuss a non-disclosure agreement. To create a support ticket, login to the Support Request form. The form includes a file upload option. Please upload all relevant files in a zip file to include with the request. To have all the technical details on the form filled in for you, begin from within the program using Help>Support… then click on the Request Support link.